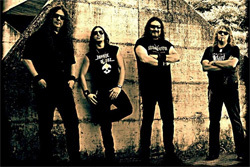 The roots of Ancillotti date back the Eighties with Italian metal band Strana Oficina with Daniele "Bud" Ancillotti on vocals. Now he fronts his own eponymous band, and it's a family affair. 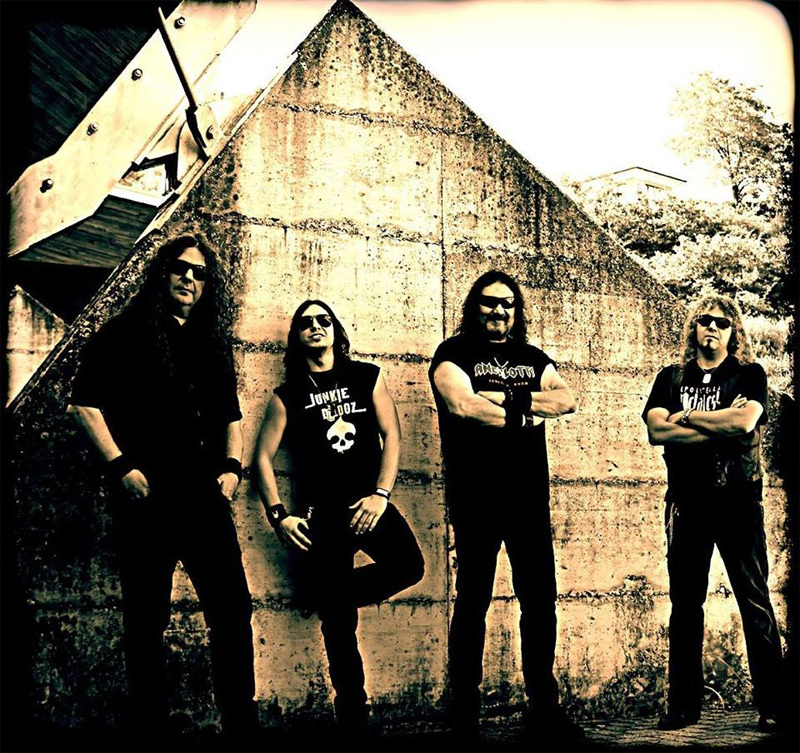 Bud is joined by his brother Sandro "Bid" Ancillotti on bass and his son Brian Ancillotti on drums, with friend Luciano "Ciano" Toscani filling the guitar spot. The Chain Goes On is their debut album following an earlier EP. Ancillotti: all in the family. Musically, the band doesn't stray for from Ancillotti's original roots of traditional heavy metal. Combining his voice, which sounds like a mash up of Lemmy, Ozzy, and Udo, with the music, you can get idea of the bands total sound. There's lots of strong rock groove to the songs delivered by the rhythm section, and the mix properly brings out both bass and drums. Of course, any classic hard and heavy band must have strong riffs and leads. Toscani doesn't disappoint, offering different and quality leads that sweep between hard rock and metal. Excepting one, all the songs are of the groove heavy metal variety. The odd song out is Sunrise, the longest number, which finds Ancillotti going more for metal anthem with the addition of acoustic guitar and a slight symphonic layer, (though I don't know if this provided by synths or guitar synths). Other stand out tunes include Monkey, Legacy of Rock, Devil Inside, and and the bonus track, Living for the Night Time. As alluded to earlier, production and mix are quite nice, favoring no instrument, but lifting all together. Overall, The Chain Goes On is solid traditional melodic heavy metal. Recommended. 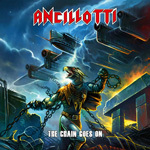 Ancillotti's The Chain Goes On is solid traditional melodic heavy metal, with strong vocals, a tight rhythm section, and ripping guitar leads.